The Dominican Sisters of Aotearoa New Zealand The first 10 Dominican sisters arrived in Dunedin in 1871. The congregation expanded rapidly, establishing schools throughout Otago and Southland, and eventually reaching as far north as Auckland. For most of their first century in New Zealand the Dominican sisters were teaching nuns, living in large enclosed convents cut off from the outside world. In the mid-1960s the Second Vatican Council ushered in a period of radical change. The sisters moved out of their convents and into small homes in their local neighbourhoods; out of their schools and into new roles in education, social justice, pastoral care and spirituality. Today they are an ageing congregation that is diminishing in size. Susannah Grant was given full access to the congregation’s rich archives in order to write this book, from the point of view of an ‘outsider’. She has also completed a large number of oral histories with the sisters. 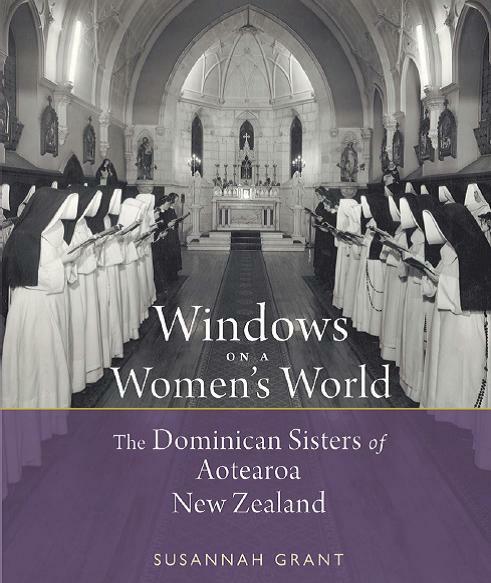 In this moving and beautifully written book she chronicles the astonishing transformation of the New Zealand Dominican sisters from a strictly enclosed body of religious teachers to a congregation of religious women who are integrated in the wider community and engaged in a range of active ministries, while still remaining deeply committed to shared Dominican ideals.